There are three cocaine-related charges that can be enforced against you in Florida. Possession constitutes a 3rd-degree felony that could be bumped up to a 1st degree when you possess 28g of cocaine or more. The sale is a 2nd-degree felony which is more severe when done near a school campus. Lastly, trafficking cocaine charges vary depending on how many grams you are caught with. Imprisonment can last from 3 to 99 years. Being charged with cocaine-related crimes is stressful and detrimental to your future. It would be best if you call an attorney that specializes in these kinds of accusations. 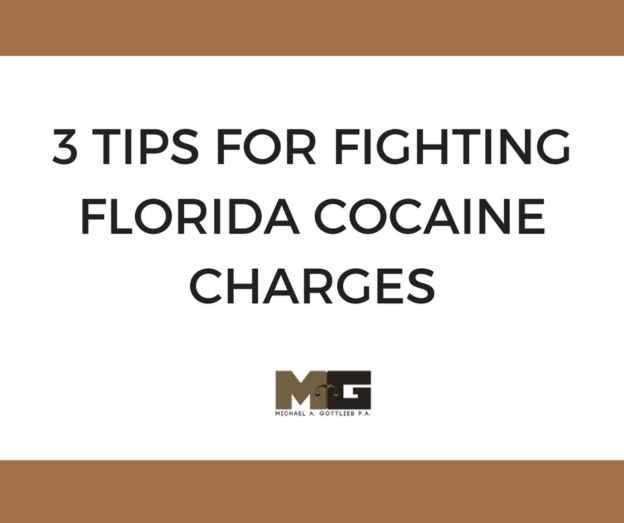 In the meantime, read on to find some defenses that you can use to fight Florida cocaine charges. Criminal possession usually requires conscious possession. The accuser holds the burden of proof. If this is your defense, you will have to testify that you had no knowledge of your possession of cocaine. You can also testify that you were not aware that the substance you possessed was cocaine. (2) Dominion and control over the cocaine. In Florida, it’s important that evidence confiscated by a police officer was acquired legally. Your criminal defense attorney can prove that evidence was acquired through a search warrant signed in bad faith or through accusation without probable cause. If it can be proven that the evidence was seized illegally, then that evidence can be suppressed and removed from the state’s case. Consequently, a lack of evidence makes the prosecution weak which can be grounds for dismissal. If neither of the defenses above contribute to your case, and you are a lower-level offender, you will soon find yourself in talks with prosecutors who will offer a plea bargain in exchange for your knowledge against high-profile felons. Moreover, volunteering for treatment and other options can help drug crime defendants avoid jail time. However, if you are charged with possession of a large amount of cocaine or with intent to sell or distribute, you may be facing serious jail time. When neither dismissal nor reduction is possible, a plea negotiation on the drug dealing charge may be appropriate. Sometimes, settlements and negotiation by a criminal attorney can lead to shorter prison time or turn your charges into a probationary case. If all else fails, there is a choice to go on trial. If you are facing serious cocaine charges in Florida, exercise your right to remain silent. You have the options above. However, we recommend that you discuss your case with an experienced Broward criminal lawyer such as Michael Gottlieb.